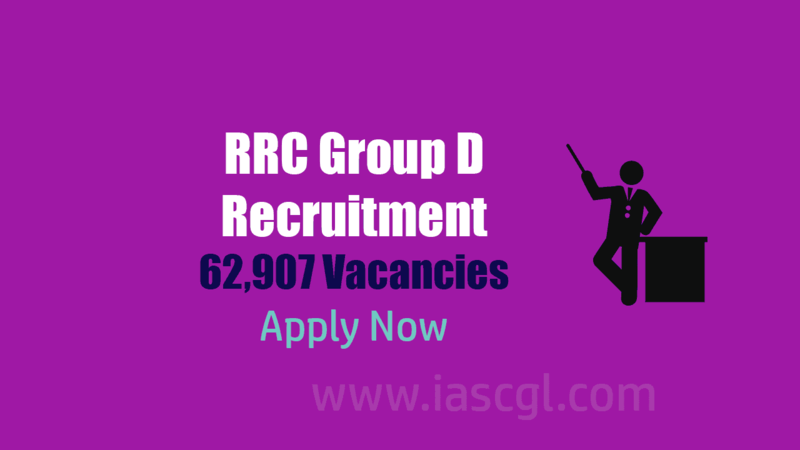 Railway Recruitment Board has released an official notification for 62,907 vacancies in Group D category. 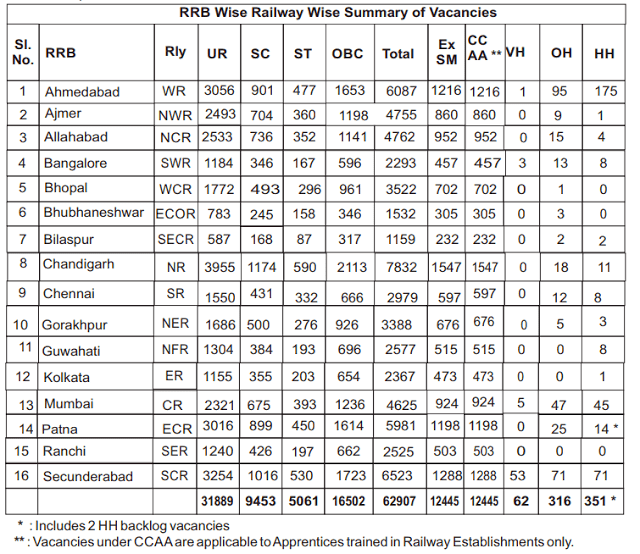 Interested and Eligibility candidate can fill up from official website of RRB or a direct link given in this article. There would be a Computer Based test(CBT) and candidate who qualified CBT Exam will appear in physical Efficiency Test(PET). In CBT, 1/3rd negative marked will be awarded for every wrong answer.